Continental Grand Sport Race rolls for 7,500 miles! A Continental Grand Sport Race lasted 7,500 miles on my rear wheel. What’s my favorite tire? 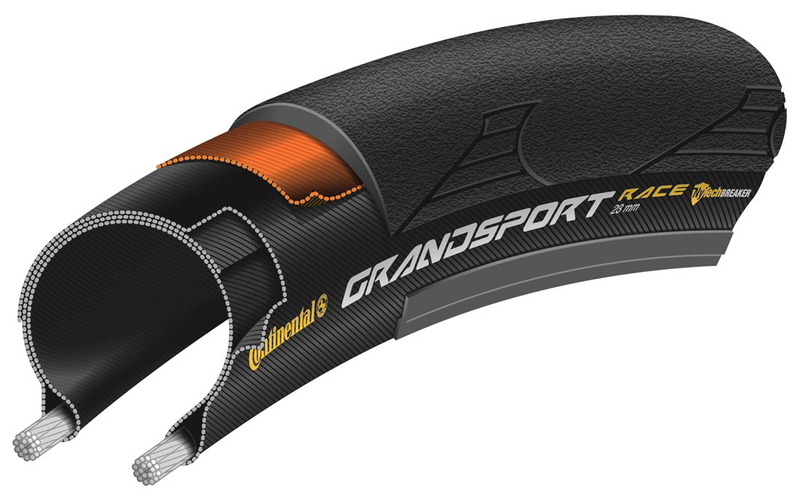 After just replacing my Continental Grand Sport Race (700×28 folding) with 7,500 miles, the answer is obvious! I put this tire on my rear wheel in November 2014. It stayed there all that time. I’ve gotten 5,400 miles from a Continental GatorSkin. During that time I had about two flats. This tire is built to last, made in China. The tire sells for about $35. That works out to about $1 every 214 miles. That means a century ride costs me $1 in total tire wear. This entry was posted on March 10, 2016 at 2:37 pm and is filed under Products. You can follow any responses to this entry through the RSS 2.0 feed. You can leave a response, or trackback from your own site. That’s pretty astounding; however I’d like to see a chart showing tire longevity on one axis and rider weight on another. At 200 lbs. 3,000 miles is about the best I can do with a 28 rear Gatorskin (no flats last tire though). Impressive mileage! How do these tires perform in terms of ride quality, speed, and responsiveness, compared to a more race-oriented tire?